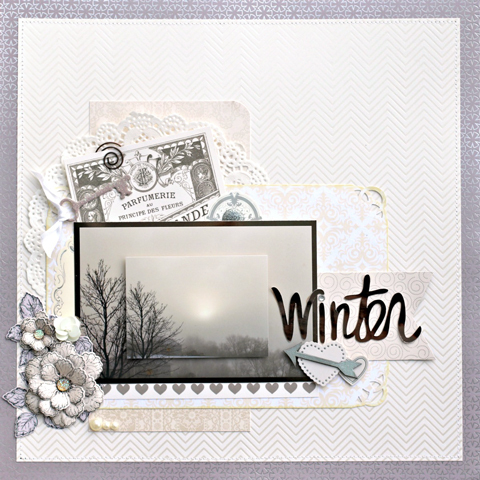 sei lifestyle: Winter Layout Featuring "Always Yours"
Winter Layout Featuring "Always Yours"
Hi there SEI fans, it's Rhonda here today to host the blog for you. I took our newer "Always Yours" collection and used it in a little unexpected way. We live in Minnesota where the winter mornings are brisk and sometimes when the weather is just right you can catch some spectacular sunrises. I quickly snapped this photo with my phone the other morning because there was something so pretty about the way the light filtered though the haze. I knew I wanted to scrap it. I printed the photo in a 2.5x3.5 size, then again in a full 4x6 and cropped both photos to remove the borders, then placed the smaller photo on top with some dimensional adhesive. After finding the beautiful cream and grey colors in this collection, I searched for a nice variety to create a monochromatic design. You will see that I used the additional kit items here such as the ribbon, glitter chipboard die cuts and stickers along with the pearls. 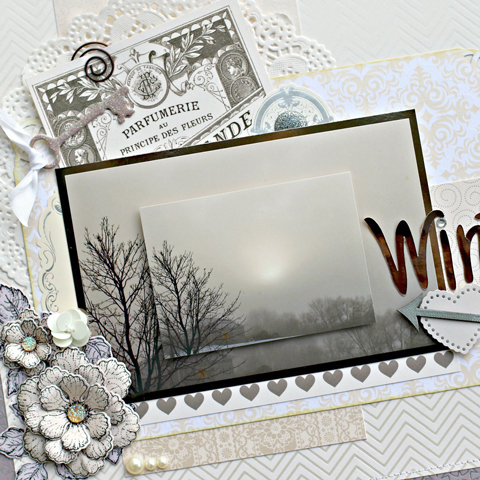 The "Winter" sentiment was cut using my Silhouette Cameo from the beautiful silver foil paper to coordinate to my photo mat. 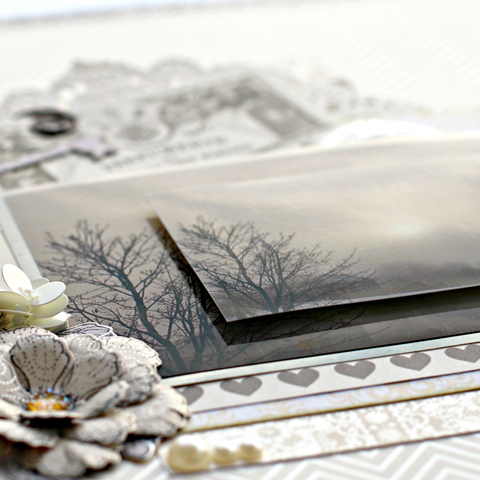 All of the papers in this collection have such a beautiful finish to them, it is a wonderfully elegant line! Beautiful! Placing one photo on top of the other is genius! Thank you so much, I love this photo and the papers were so nice for it!